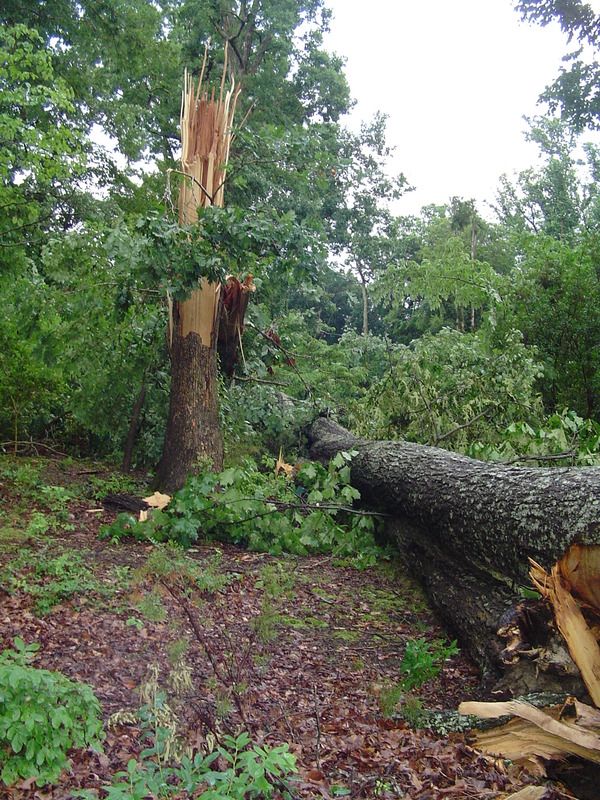 Living in a forest means that sometimes our trees come down, whether by natural disaster or human choice, their loss changes the fabric of our gardens. Their loss also opens up fresh possibilities for change and growth. One of the lessons gardeners experience again and again is the constancy of change. Our gardens are never the same day to day, let alone year to year. When we approach our gardens with an attitude of working with the change, we can see opportunities to create beauty and to restore the web of life where once there was only the remains of something now passed. The stump of a great old tree, long gone, dominates the very bottom of our back garden. 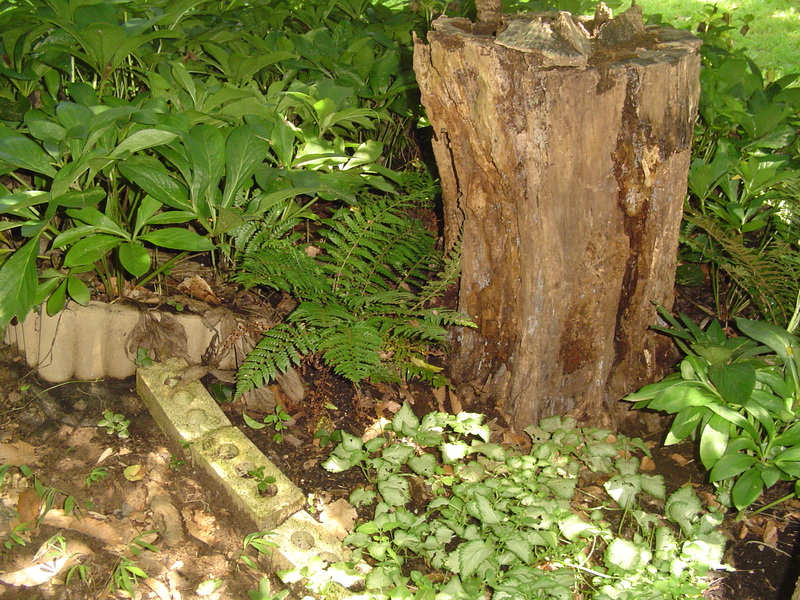 A decaying stump from a great old tree dominates the bottom of the yard. Although beautiful as a sculpture, I saw the opportunity to create beauty and also halt the erosion in this area. This isn’t a good area for digging, and so I created a shallow raised bed using curved edging bricks from the hardware store. They had to be carefully placed around the exposed roots of the old stump. The bed was filled with a combination of bagged topsoil and bagged, commercial compost. 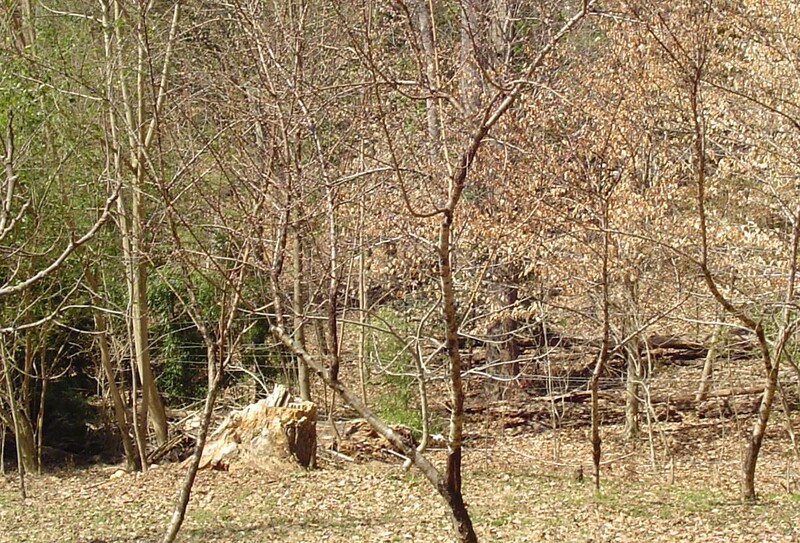 I use Leaf Grow Soil Conditioner which is produced in Maryland. http://www.menv.com/leafgro.shtml This particular product gives great results, and I use it almost exclusively when planting out in the garden. Because the ground was sloped and uneven, I mounded the new soil higher around the base of the stump, and then tapered it down towards the edging bricks until the bed looked pleasingly full of soil and well formed. Hellebores are poisonous, and never grazed by deer. They prefer shade, and bloom from December until early summer. 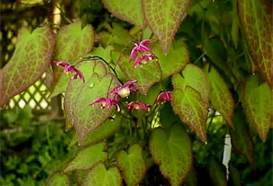 They are drought tolerant and spread once established. 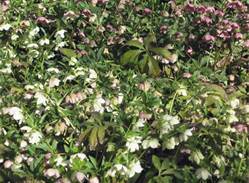 A very good friend has a yard full of Hellebores, which reseed prolifically. 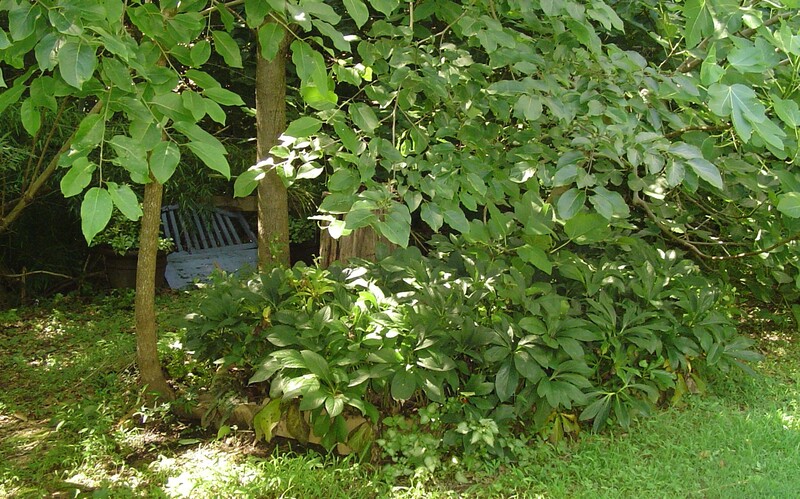 She had seedling growing up in areas where she wanted to grow roses and other perennials. We worked together to dig the small plants out of areas where she didn’t want them, and I tucked them into containers of potting soil for the trip home. I planted the transplants into the rich compost of the new bed, working around the roots, and spacing the plants 12″-18″ apart. After watering them in, I left them to adjust to their new garden. and Epipedium had hitchhiked along attached to the roots of the Helleborus. 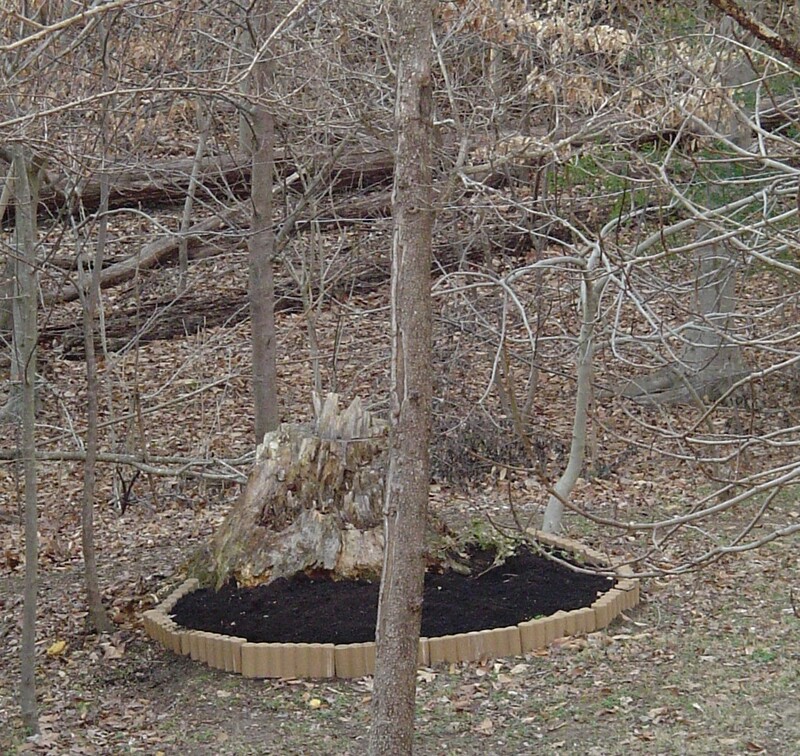 As the plants began to fill in and the soil settled, I kept adding compost as needed, and added a few more fern plants to the more deeply shaded back side of the stump garden. A year later, I added an ivy plant which had outgrown its container, and a few more hybrid “must have” Hellebores from the garden center to fill in the last remaining empty spots. This is now one of the most beautiful beds in my garden. The plants have grown enough to cover themselves in flowers from December until June. 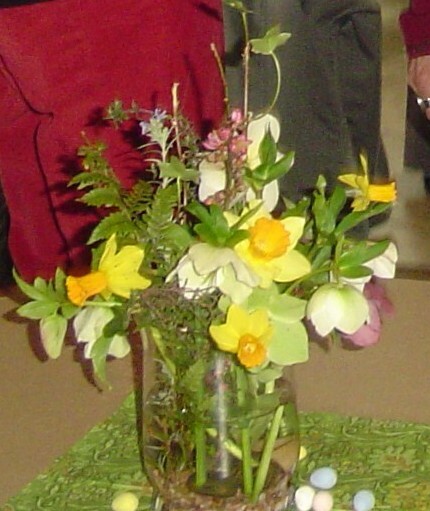 Hellebores make wonderful cut flowers and last a week or more in vases of fresh water. 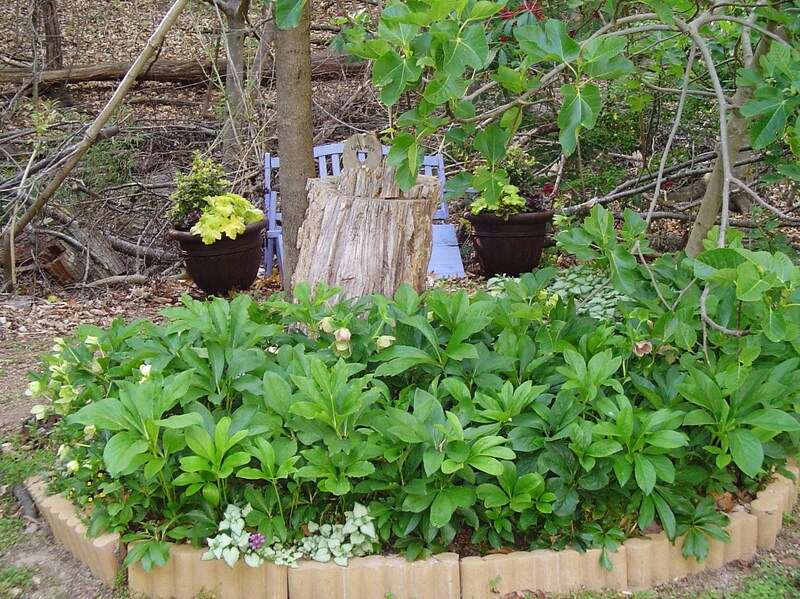 Imagine that- an old stump became the anchor for a winter cutting garden, and a year round place of beauty! 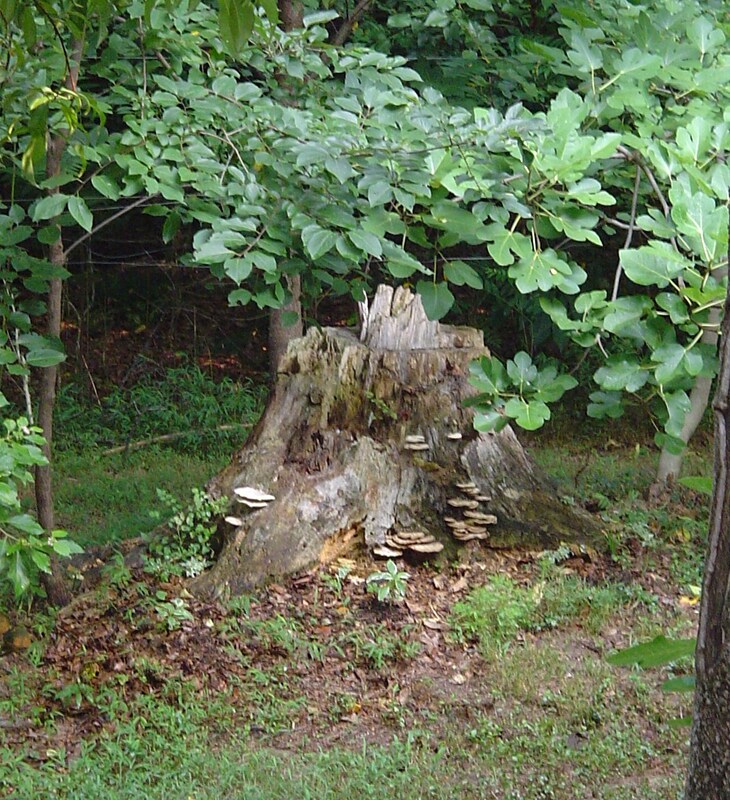 The stump garden a full year after it was planted. 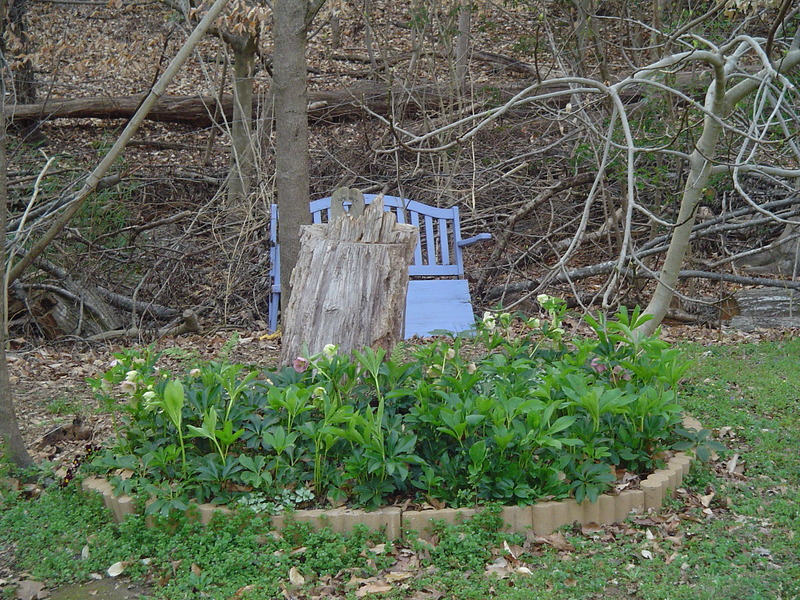 The stump garden in the second spring after it was planted bloomed from December until June, providing many stems of fresh winter flowers. A pink Hellebores is still blooming in June alongside ferns, Lamium, and ivy. 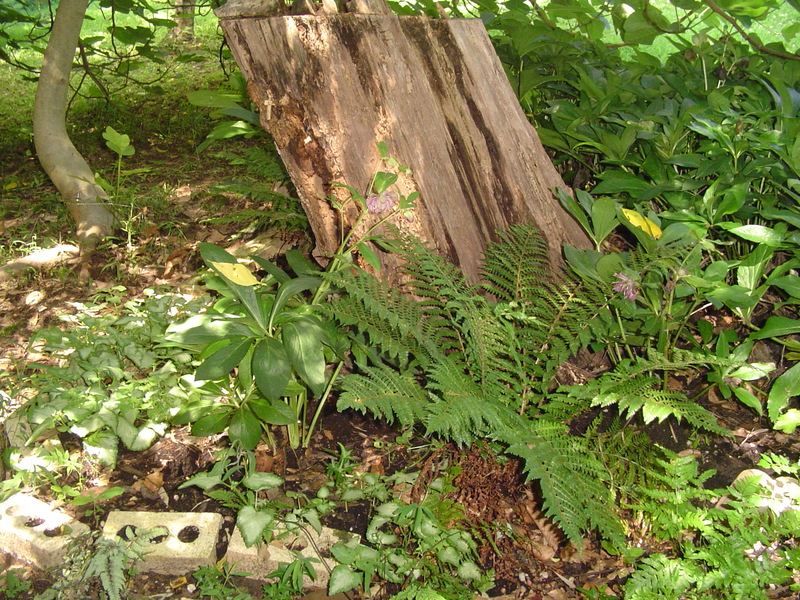 Smaller stumps left from trees downed in a recent hurricane are surrounded by Leaf Grow Soil Conditioner, and then planted with ferns to serve as the beginnings for future beds in the shade. 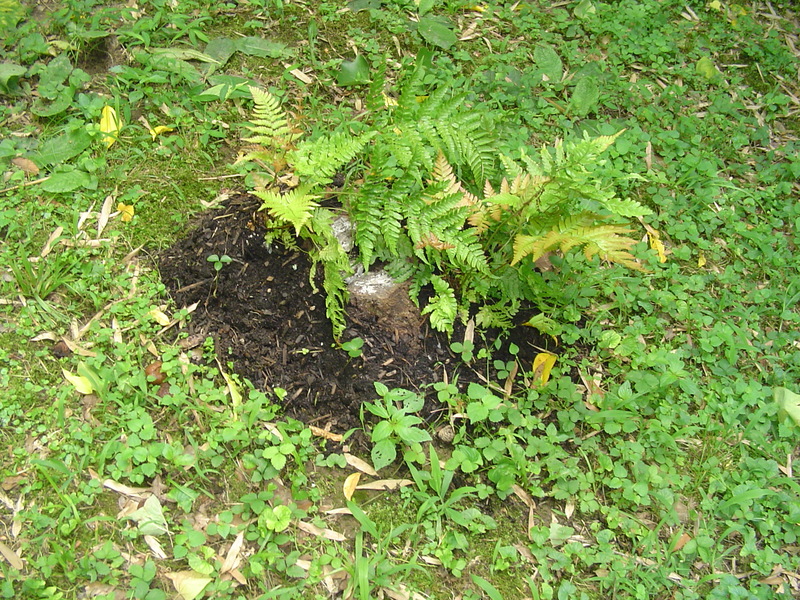 Autumn Brilliance ferns planted in Leaf Grow Soil conditioner packed around a small stump for the beginnings of a new garden in the shade.